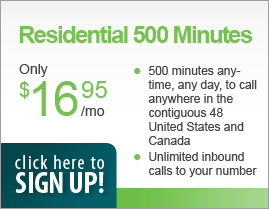 Low per minute international calling rates with NO connection fees. All of the Basic Features free. and number from numerous locations throughout the US. Toll-Free Numbers, and Virtual Phone Numbers that will ring into your primary line. $42.95 one-time activation fee ($25 refunded if you choose to cancel and return the Nextera adapter within 14 days). $9.95 US Shipping Fee. International shipping is currently not available. $.95 per Directory Assistance call. A standard touchtone telephone. 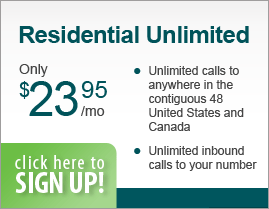 Any corded or cordless phone works with Nextera service. High-speed broadband internet service provided via Fixed Wireless, Cable, Digital Subscriber Line (DSL), T-1, or Fiber service. A spare Ethernet port on your DSL/cable modem or router to connect the Nextera-provided phone adapter if you want to use your computer and Nextera service at the same time. If you do not have a router, Nextera will provide a router/phone adapter combination that will allow you to connect up to three computers. The growth in broadband wireless networks can be attributed to high demand for wireless multimedia services such as voice, data, video and the development of new wireless standards.